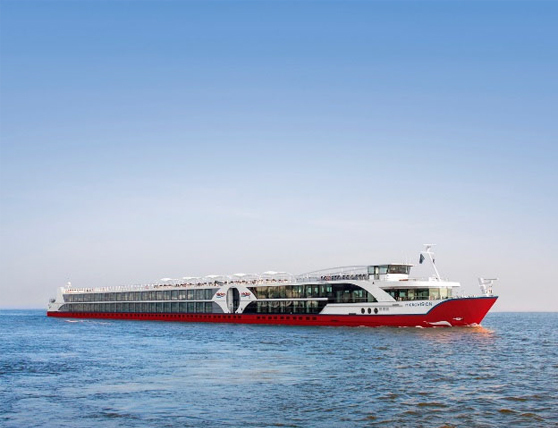 Profile nicko cruises Schiffsreisen GmbH is a leading provider of river cruises in Europe. The company is active in more than twenty countries and on 23 waters. It travels all over the world on all waterways in demand for tourism as well as some coastal sections. From the 2019 season nicko cruises will also be offering 16 ocean-going routes. "Our experience with the Sennheiser Tourguide System has been very good since its introduction in 2016. We use the Sennheiser Tourguide System on our 15 riverboats throughout Europe. This system improves guided tours enormously, especially in heavily frequented cities or museums. All guests of the group can hear the comments without annoying noise. They don't always have to "stick" to the guide but can also take a photo a little off the beaten track and still hear his comments. The guests come back enthusiastically from the excursions. Due to this great satisfaction with the Sennheiser Tourguide audio system on Europe's rivers, we have decided to use the system for the first time on our new ocean-going vessel WORLD EXPLORER from 2019. We are sure that the Sennheiser Tourguide System will also inspire many guests here."